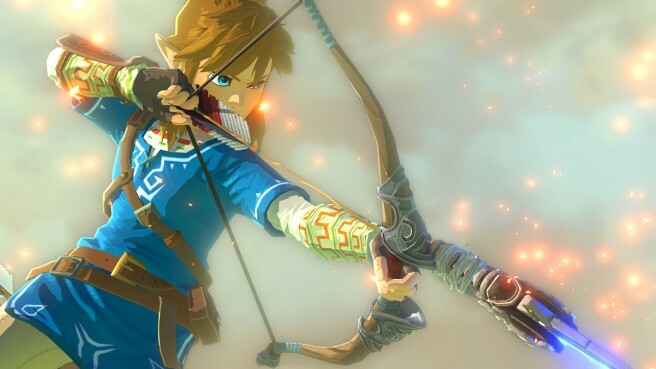 Eiji Aonuma, producer of Zelda Wii U, shared extensive comments to EDGE this month about the game’s open world without giving too much away. In the original Legend of Zelda, there was no clear way to lead the main character to his goal. It was something that we entrusted to the players to find by themselves. As the game later expanded into a franchise, the structure of the game worlds became more and more complex – especially with the introduction of 3D – making it necessary for us to point the player in the right direction. Consequently, progression in the games became more linear. To recreate a similar experience to the original, we have to give the game world a simple structure that players can understand intuitively. In doing so, it’s very important that we make every aspect of the world feel real and physically connected, so that it’s doesn’t look fake. We can achieve this thanks to the hardware features of Wii U, but to truly get a deep understanding of the game world, we also need a real map that depicts the world as it is. The GamePad is very effective for displaying this, and thus also [for] providing players with a constant hint on where to head to. I think we can safely say that the innovations in this new game are only possible thanks to the Wii U hardware. Later in the interview, EDGE mentioned that other companies have pioneered the open-world template. The magazine also asked what can be done/what needs to be done to ensure that Zelda Wii U is held to the same regard as Ocarina of Time. The innovation of a vast open world could in one sense be seen as a return to the roots of the series. But in returning to these roots, we are also bringing with us all the things we have learned and ways the series has developed over all this time, which will help to create new and exciting gameplay possibilities.